Ureteropelvic junction obstruction can be associated with renal anomalies and occurs in 25% to 33% of horseshoe kidneys (47), and 22% to 37% of ectopic kidneys (48). Due to the rarity of these renal anomalies, few reports address the treatment of ureteropelvic junction obstruction in adults with congenital urinary tract malformations. Open pyeloplasty is the preferred management and has been reported to be successful in 55% to 80% of patients with a horseshoe kidney (49,50). Despite a success rate of 78% (51), retrograde endopyelo-tomy in horseshoe or ectopic kidneys is more risky because such kidneys usually have anomalous vascular supply. In addition, the abnormal anatomic site of these kidneys makes percutaneous access quite challenging. In fact, the access to the above mentioned study was obtained with laparoscopic assistance. 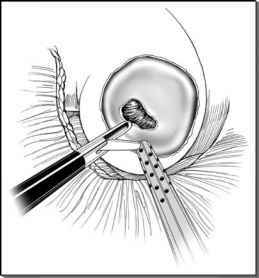 Laparoscopic pyeloplasty in the setting of an ectopic or horseshoe kidney has been performed successfully. Trocar positioning can be different for abnormally located kidneys and should be individualized. The overall success rate in the only series presented by Bove et al. is 91% and is higher than those reported for either open repair (55-80%) or endoscopic management (78%) of ureteropelvic junction obstruction in such kidneys (52). The results compare favorably to the outcome of transperitoneal laparoscopic pyeloplasty in otherwise normal kidneys, which associates with success rates greater than 90%. Risk factors for surgical failure are similar and include a history of multiple prior operations and poor preoperative renal function. The laparoscopic approach provides excellent surgical exposure of these kidneys and operative time similar to laparoscopic pyeloplasty in otherwise normal kidneys. Scant data on extraperitoneal laparoscopic pyeloplasty in a horseshoe kidney are available to date (53).